If you’re looking for something to do with the kids over spring break, we’ve got some great ideas for you. Whatever the weather may bring, you’re sure to find something fun to do in this list. We’ve included indoor fun and outdoor fun, free fun, cheap fun, BIG fun…. and it’s all in and around Cincinnati! Experience Cincinnati Museum Center’s Museum of Natural History and Science: Dinosaur Hall and Science Interactives Gallery. See six massive dinosaurs and have lots of hands-on fun in the Science Interactive Gallery (including Birdly – a virtual reality experience, age/height restrictions may apply). And The Cave will re-open on March 22! Burn off some energy at one of the Great Parks indoor play places, located at Sharon Woods and Parky’s Farm. Parky’s Playbarn is a former dairy barn has been converted into an indoor, farm-themed, accessible playground for children ages 2-12. And Adventure Station is an indoor playground located within Sharon Centre in Sharon Woods. 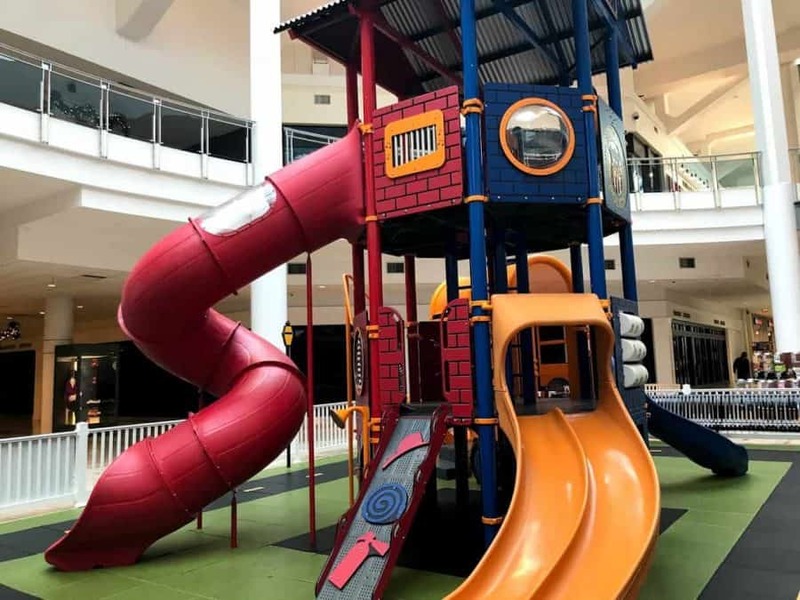 Open to children ages 2-12, the two-story, handicap accessible playground features ladders, tunnels and interactive play areas for hours of indoor fun. EnterTRAINment Junction has a variety of things to do AND it’s great for kids of all ages. E.T. is home of the world’s largest indoor train display and also includes an indoor playground, a railroading museum, an old town where you can grab lunch, and lots more. Older kids will especially love the A-maze-n Funhouse which includes a circus tent themed maze plus a fun house full of mirrors and more. Dave & Busters in Springdale is a great place to spend the day, especially if you can use this Groupon deal*. And right around the corner from them is Full Throttle Indoor Karting AND Sky Zone Trampoline Park. The Cincinnati Art Museum offers free general admission (and free parking). See their Family and Teens Programs here. Don’t miss “Tunes and Blooms” at the Cincinnati Zoo on Thursday evenings in April. Tunes and Blooms features free concerts in the garden from 6-8:30 p.m every Thursday in April (weather permitting). Tunes and Blooms admission is FREE after 5pm. Parking is $10.00. You can bring in chairs and/or blankets and food (no alcohol). 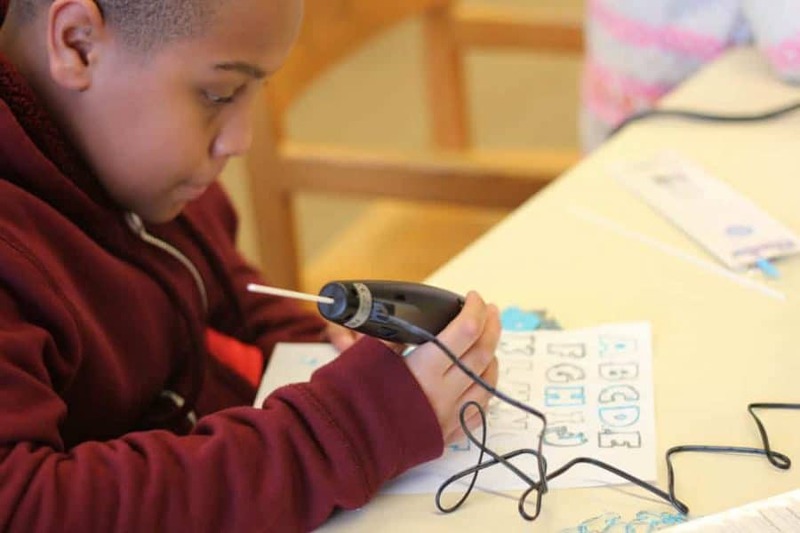 Have some creative fun at Makerspace at the Public Library of Cincinnati and Hamilton County. Get crafty with their sewing machines, button makers, Silhouette Cameo, green screen and camera, and more. If you have a special machine you want to use, be sure to check for a reservation (info here). Speaking of libraries, be sure to check out the online library calendars for lots of fun events. 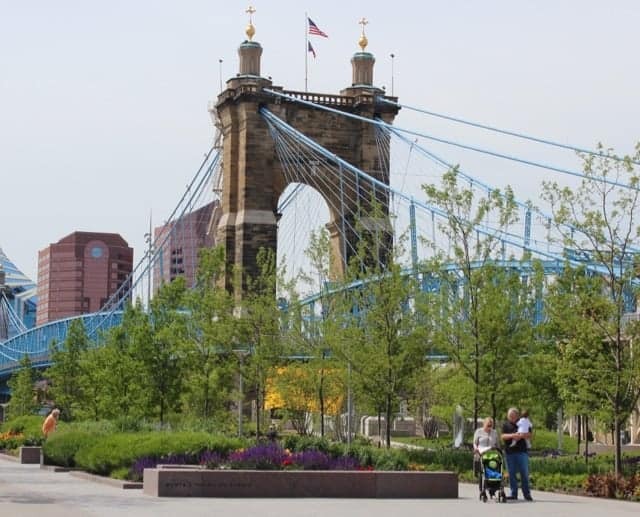 Play outside at Smale Riverfront Park. Enjoy the multiple playgrounds (LOTS to do there! ), take a ride on Carol Ann’s Carousel, and see the sites from the SkyStar (Groupon deal here*). Parking is available right under the park. It’s spring and that means baseball season! Don’t miss the Opening Day Parade and game (happening March 28, 2019). There’s a Kids Opening Day on Saturday, March 30 which includes a free block party, a Reds Player Parade on the Red carpet, live music from School of Rock, and MUCH more. Want to extend your love for baseball beyond opening day? Check out the Reds Hall of Fame Museum. Highfield Discovery Garden (at Glenwood Gardens) is a great place for the younger set. This 12 acre park within a park has shallow ponds that allow kids to inspect what lives within, lots of imaginative little houses to play in, an outdoor train set, and a fun playground area. They do offer classes so be sure to check out their daily event calendar. Check out our Parks Series for details on some of the amazing parks we have here in town. Know that this one is a bar atmosphere.. but I want to include it as it might be fun with older kids. “Minors” are permitted to play with the adults at the new Pins Mechanical Company on Main Street (OTR) until 8pm. They have Duckpin Bowling, a ping pong table, pinball machines, and more. Take a look at their website for a feel of what it’s like. 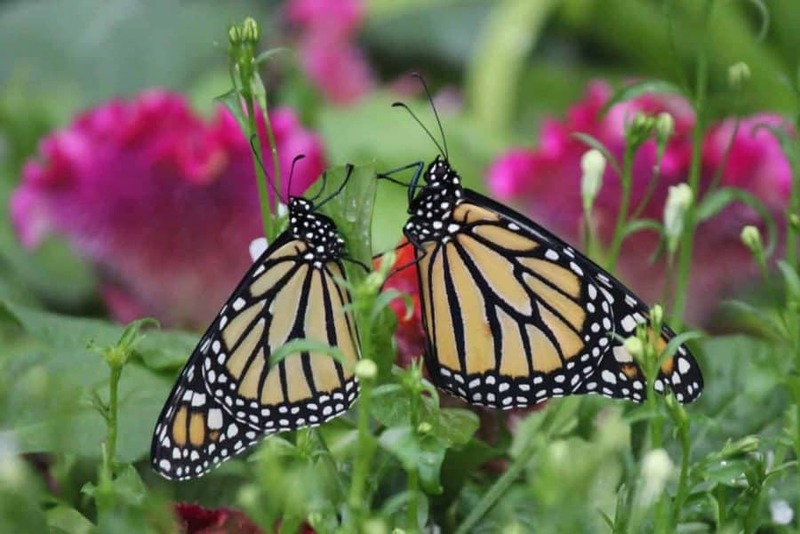 The Butterfly Show at the Krohn Conservatory opens on March 23. This year’s theme is The Butterflies of Ecuador. Be sure to find the $1 off coupon when you click the link above. Take a ride on the Anderson Ferry! While you’re out that way, stop by and watch the planes take off and land at the CVG Viewing Area. Grab a frosty mug of root beer and a coney at the The Rootbeer Stand and then head to nearby Trammel Fossil Park to see what you can find. Tip: pack some hand shovels and a few zipper bags to dig for treasures. Tri-County Mall has a great indoor play place (as seen above)! It’s really more for the younger kids (up to 3rd grade maybe). There’s a track that goes around the perimeter (great for running off some energy! ), musical instrucments. a train, a few slides, and more. If you have little ones, know that it does have a “fence” around it but there are two entrances that are not closed. Hit the Donut Trail! Download your Donut Trail passports and then hit the road. There are more than 12 donut spots on the map. Tip: be sure to check the times and days of operation as they all vary. My favorite? Holtman’s Donuts at Union Centre!